Bella Ve' Skincare Collection. Beautiful you. Naturally. When I first started using Bella Vé products, I immediately noticed a difference in the texture, fine lines, and firmness of my skin...I highly recommend them to everyone. In the highly-competitive natural skincare industry, a small company is about to take the national green scene by storm. Mary Tacia, Oak Harbor resident and owner of Bella Vé Natural Skin Care, has recently launched her collection of earth-friendly skincare products. Family and friends affected by cancer inspired Tacia to create what some are calling the most natural and superior products on the market today. This was personal, so they had to be the best. And they are. So good they’ve already grabbed the attention of actress Rachelle Carson-Begley. Rachelle is the wife of our very popular environmentalist, Ed Begley Jr. She co-stars with her husband in their hit television sitcom called Living with Ed. Rachelle just named Bella Vé as one of her favorite skin care lines in the March/April cover story of VIV Magazine. VIV is a glamorous, new, international online magazine. Of the three companies mentioned by Rachelle, Bella Vé is the only one made in the United States. In eco-chic Hollywood, where green is the new black, a nod from Rachelle is highly-coveted. So how did a small business on rural Whidbey Island hit the big time? After meeting Ed at a conference in Seattle last year, Tacia sent an email to the Begley’s, followed by product samples. Rachelle tried the skin care products and loved them. She invited Tacia to Hollywood. Last summer, Tacia joined the Begley’s in Los Angeles for the Green Choice Awards, where Ed and Rachelle were the guests of honor. She also visited with them at their home in Studio City. After using the products for a few months, Rachelle began giving Bella Vé glowing reviews. In 2004, Tacia had a growing interest in becoming a naturalist in the skincare and beauty industry. She received training in the application of permanent cosmetics, a gentle process of adding color to the skin to enhance or create natural looking eyebrows, eyeliner and lips. She quickly developed a loyal clientele for her various holistic beauty treatments. Her interest grew, and she began producing a line of earth-friendly aromatherapy body products. As she developed each new product, she would name them after one of her 10 siblings. During this entire time, Tacia’s younger sister was battling with breast cancer. She and her sister would talk about how so many beauty products were laced with toxins, causing many diseases, primarily cancer. This inspired Tacia to create an “all natural” skin care product line that was safe for everyone. She named it Bella Vé, which means “beautiful you” in Italian, and was chosen to honor her mother’s family heritage. Tacia was very particular. She chose to start with 14 products in her luxury line. She formulated them to be “cosmeceutical’, which means they’re naturally made with the same active ingredients prescribed and used by dermatologists and clinical estheticians. The initial rush of Bella Vé customers have been women 35 and older, primarily because of the remarkable anti-aging results. However, Tacia is now releasing high performance products formulated for acne-prone skin for both adults and teens. She recently set up a trial study with local teenagers to publicly demonstrate the results. With a growing eco-conscious population, many teens have become earth-friendly. “Healthy habits start early in life, and the teen years are a great time to begin a skin care routine that will benefit them far into adulthood,” said Tacia. Besides being devoted to the ideals of cruelty-free and earth-friendly products, Tacia is also diligent about keeping her products affordable. Fully-recyclable, Bella Vé bottles and jars are much larger, but cost less than the leading brands. This makes her products not only eco-friendly, but also “eco-nomically” friendly. Today, the Bella Vé line is ready for national distribution. All of the products are manufactured in a fully-licensed and FDA certified laboratory. All formulas are extensively tested, and the active ingredients researched for true potency and results. They also meet the new national Green Beauty Approved guidelines which Tacia helped to develop. To order products or to learn more about Bella Vé Natural Skin Care please visit: http://www.bellaveskincare.com. Bella Ve' Celebrates Earth Day!Earth Day is the perfect time to set your New Green Year resolutions! 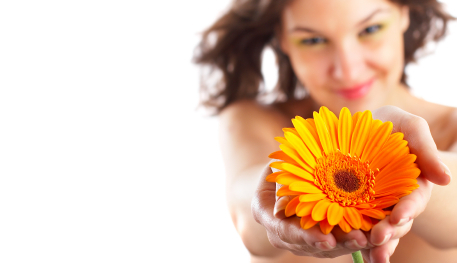 The first step is simple: use earthy-friendly Bella Ve' skincare products for a beautiful world and beautiful you. Naturally! 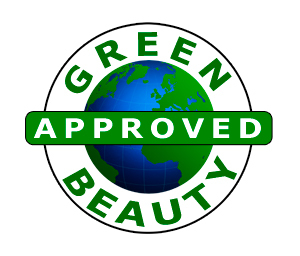 Green BeautyBella Ve' skincare products meet the new national Green Beauty approved guidelines. 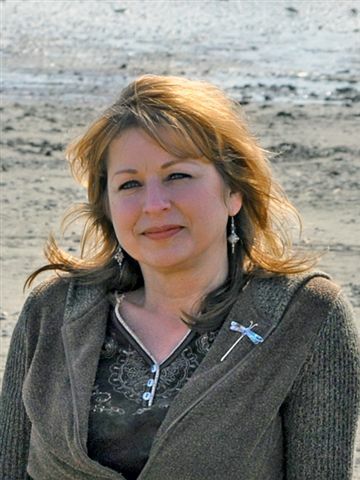 www.bellaveskincare.com Mary Tacia, owner of Bella Ve' natural skincareMary Tacia, owner of Bella Ve' lives on Whidbey Island in the Pacific Northwest. She recently launched her skincare collection of earth-friendly products. Photo courtesy of Tammi Jutte. 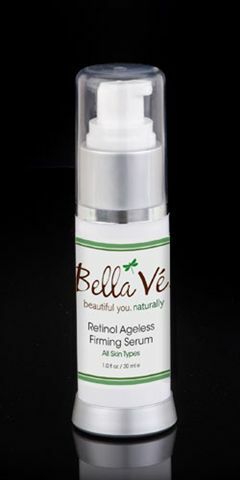 Retinol Ageless Firming SerumThis complex serum makes your skin glow. The natural skin care formula is highly concentrated for superior results. Apply at night and awake to a renewed healthier looking complexion. Bella Ve' offers two cleansers for all skin typesChoose from the Gentle Citrus Scrub with Micro-Beads or Green Tea & Aloe Mild Gel Cleanser. Either way you will love how your skin feels and looks! Bella Ve' products are loved by men, women and teensBella Ve' transforms tired looking skin into healthy, radiant and more youthful looking skin. Clarify, restore and firm your skin with these highly-active formulas that totally reverse the signs of aging.